You may need the Adobe© Reader© to view the PDFs on this page. States and local jurisdictions are increasingly discussing congestion pricing as a strategy for improving transportation system performance. In fact, many transportation experts believe that congestion pricing offers promising opportunities to cost-effectively reduce traffic congestion, improve the reliability of highway system performance, and improve the quality of life for residents, many of whom are experiencing intolerable traffic congestion in regions across the country. Economics: pricing, demand, and economic efficiency. Technologies that enable congestion pricing. Technologies that complement congestion pricing. Income-based equity impacts of congestion pricing. Evolution of second generation pricing projects. Congestion pricing: effective approaches to streamlining back office operations. Because congestion pricing is still a relatively new concept in the United States, the Federal Highway Administration (FHWA) is embarking on an outreach effort to introduce the various aspects of congestion pricing to decision makers and transportation professionals. One element of FHWA's congestion pricing outreach program is this Congestion Pricing Primer series. The aim of the primer series is not to promote congestion pricing or to provide an exhaustive discussion of the various technical and institutional issues one might encounter when implementing a particular project; rather, the intent is to provide an overview of the key elements of congestion pricing, to illustrate the multidisciplinary aspects and skill sets required to analyze and implement congestion pricing, and to provide an entry point for practitioners and others interested in engaging in the congestion-pricing dialogue. The concept of tolling and congestion pricing is based on charging for access and use of our roadway network. It places responsibility for travel choices squarely in the hands of the individual traveler, where it can best be decided and managed. The car is often the most convenient means of transportation; however, with a little encouragement, people may find it attractive to change their travel habits, whether through consolidation of trips, car-sharing, by using public transportation, or by simply traveling at less congested times. The use of proven and practical demand-management pricing that we freely use and apply to every other utility is needed for transportation. Applying tolling and road pricing to solve local transportation and sustainability problems gives localities the opportunity to address transportation problems without Federal or State funding. It could mean that further gas tax, sales tax, or motor vehicle registration fee increases are not necessary now, or in the future. Congestion pricing is a first step, not a complete plan of action. It has to be coordinated with other policy measures and environmental measures for sustainability. While project managers for congestion pricing strategies and systems are focused on traffic management, technology, toll rates, and design, other critical issues related to operations, policy, and rapidly changing technology tend to arise. In this primer, these challenges are collectively referred to as "back office issues" as they impact operations that are behind the scenes. There are eight such topic areas discussed in detail in this primer: policy decisions drive business rules, interoperability, back office efficiency, enforcement, data analysis and warehouse, transparency, privacy, and private sector involvement. The primer also includes case studies for each describing experiences of implementing agencies. Readers are encouraged to identify elements of the case studies that are similar to those they may be dealing with on local congestion pricing projects. Figure 1. Photo. I-495 Express Lanes transition. Figure 2. Photo. An E-ZPass Express Toll Lane in Virginia. Figure 3. Photo. A gantry-mounted sign above a lane that offers E-ZPass full service to drivers. The Congestion Pricing Primer Series is written with the transportation agency project manager in mind. While most project managers are experienced with traditional transportation projects, they (and their agencies) often have little or no experience with the concept of congestion pricing, managed lanes, or even tolling. Early in the development phases of these projects, the focus is typically and appropriately on traffic management, technology, toll rates, and design. These are the visible, up-front issues that would seem to be most closely related to the purpose and need of the congestion pricing projects. The Federal Highway Administration (FHWA) conducted a Tolling and Pricing Back Office Issues Peer Exchange in Hanover, MD, on May 6, 2014. Thirteen congestion pricing experts representing both public and private transportation agencies from around the United States gathered to discuss the range of back office operation challenges associated with a range of congestion pricing projects. Additionally, content for this primer was taken from presentations that were given at the National Congestion Pricing Conference in Seattle, WA, on July 9-11, 2013. Collective experience from dozens of congestion pricing projects deployed in the past decade, however, revealed that other issues need to be addressed early in project development. As with institutional issues (the subject of a previous primer), the back office issues described in this primer tend to emerge well into the planning and design phases. In some cases, projects have been set back as a result of not addressing back office issues up front in early concept stages. Overcoming these issues can present challenges even among agencies with previous experience on similar projects for the simple reason that the technology involved with back office operations evolves very rapidly. Therefore, flexibility must be built in during the development of congestion pricing projects and systems. Reevaluation of project policies and business rules is often necessary as agencies strive to adjust to these changing conditions. This can result in additional media coverage and recurring political debate on operational congestion pricing projects. Even in cases where broad stakeholder buy-in has been developed for the project and its primary objectives, this renewed scrutiny can complicate the issues and lead to delays in deployment. Implementing congestion pricing projects requires a combination of good planning, proven technical capabilities, and reliable day-to-day operations. Equally important is the ability to work through a wide variety of back office issues that can arise at any point in the process. Congestion pricing projects are different from many other transportation projects: they represent a new way of managing travel demand; they require daily, hourly, or even constant monitoring; and they deal explicitly with money. All of these factors produce an inordinate amount of attention by decision makers, the media, and the public. Policy decisions that drive business rules. This primer contains eight sections, with each being dedicated to one of the back office issues listed above. Each section provides insight into how dealing with the respective issue directly within the project development process can lead to a more successful congestion pricing project. Each section also provides a strategy-specific example illustrating how the issue has been handled in an existing congestion pricing project. The primer concludes with a section on lessons learned that summarizes the key points identified for each back office issue in the form of an action-oriented project manager's checklist. Back office capabilities and business rules should be designed to support flexible operating agency policies. Multiple partner agencies and tolling operators must work together to prevent conflicting project objectives. Tolling strategies and technology must be compatible for managed lane networks. High-occupancy vehicle (HOV) 2+ to 3+ conversions are being implemented to meet both traffic management AND revenue requirements, but this further complicates enforcement. Tolling should be treated as a "business" with a need to meet varying customer expectations about toll payment. Transportation agencies that are developing and implementing managed lane projects and other market-based pricing strategies will face policy decisions, small and large, that directly impact operations. In this context, the term "back office" refers to functions that relate to facility tolling and fee collection equipment and technology to complete transactions. Such functions are not typically visible to the public, hence the term "back office." This chapter describes how various policy decisions affect multiple back office functions. We are setting ourselves up for failure if we approach revenue generation and mobility management as competing. Several agencies implementing congestion pricing projects have teamed with the private sector for technical expertise as well as financial participation in order to accelerate deployment of needed infrastructure. Many operating agencies have adopted a project model through which they are attempting to operate their tolling facilities "as a business." A related issue involves the primary objectives of the tolled facilities and has implications for toll-setting policy and the design and operations of back office functions. Many pricing projects have been deployed by public agency operators that are primarily focused on improving mobility, better utilization of existing infrastructure, and providing a reliable travel time for priority users of the system (such as transit, car, and tolled vehicles). Public agencies today are giving greater emphasis to revenue generation (as are private operators) to meet financial obligations and create more sustainable funding sources for projects.1 Some State departments of transportation (DOT) that are entering the priced managed lane industry have teamed with existing toll agencies for their tolling technology and back office functions. Existing business rules and technical capabilities of the toll agency may impact the back office functions of the new facility. There are often multiple agencies involved, each with dozens of business rules and varying facility-specific pricing structures and discount programs in place. Facility operators must be flexible enough to incorporate all of these variants into their back office functions. Back office capabilities and business rules should be designed to support the policies of the operating agencies. Project managers view this as policy "framing" the development of business rules as there are practical limitations in directly linking the two. Toll rate setting tends to be a very political decision, and elected officials often set constraints (toll rate caps, limits on the frequency and rate of increase, etc.). Variable rate systems function best in managing traffic when left to actual market conditions to set rates. Some operating agencies in southern California have worked with their policy setting body to adopt a formula and process by which toll rates are to be adjusted, delegating responsibility to staff to set rates according to that formula. This "middle ground" approach allows quick response to changing traffic conditions while keeping elected officials in control of rate setting from a policy level. Figure 4. Photo. Example of a tolled high-occupancy vehicle lane separated by lane markings from normal travel lanes. Priority for carpools is a key policy objective for many priced managed lane operators; however, there is a wide variance among agencies in terms of the business rules and back office processes in place to operate and enforce high-occupancy vehicle (HOV) strategies. Some agencies have changed occupancy requirements from 2+ (minimum of 2 persons per vehicle for free or discounted access) to 3+ on existing highways when converting to priced managed lanes. This shift is driven primarily by the fact that the lanes could not produce enough revenue to cover capital and operating costs. Others have needed to increase occupancy to 3+ due to the fact that their existing HOV (2+) lanes were already congested in the peak periods, eliminating travel time advantages. The Washington State Department of Transportation (WSDOT) got into tolling fairly recently, having "paid off" the State's last toll facility a generation prior. In 2008, WSDOT had two tolled facilities operating (Tacoma Narrows, 2007 – traditional toll bridge and SR-167 HOT Lanes, 2008 – dynamically priced lane) with tolling systems and back office functions that supported the unique requirements of each of those individual facilities. When WSDOT was planning for its third tolled facility, the SR-520 bridge (full-facility tolling of existing bridge), the agency recognized the benefits of a consolidated, modernized back office approach. This project would introduce the post-payment option of receiving a bill in the mail and greatly increase the number of toll transactions to be processed. Their new back office operations would be able to handle the high volume of transactions that SH 520 would generate, support this new, more complex functionality, and allow for expandability for future tolled facilities. There were significant challenges with migrating from two existing sets of back office capabilities and functions to one consolidated back office for all three facilities. It was vital to gain a complete understanding of the existing business rules for each facility and then to determine how those rules would be affected by or conflict with new business rules. WSDOT discovered that it is important to plan to be flexible with policy decisions. Stepping back and looking at everything in the State's tolling program holistically was a better approach for WSDOT than looking at things on a project-by-project basis. As agency staff delved deeper, the big question became "Who really makes these policy decisions?" Many policies needed to be developed, so there was a need to determine who had the authority to make which decisions. Within the region, there have been numerous debates about the competing interests of revenue generation or congestion management. WSDOT found it to be very beneficial to reach out to other transportation agencies and learn from them regarding policies for their tolling and pricing programs. In Washington, there were expectations from the State Transportation Commission and local agency partners that tolling should be a self-sufficient program. WSDOT management and tolling staff came to the realization that operations of a tolling network needed to be managed as a business as opposed to the traditional agency role of building and maintaining transportation assets (roadways, transit, and ferries). WSDOT speaks of tolling as a business because they are selling a product. Customers pay directly for a premium service and high-quality product in the form of travel time savings and a safe, reliable trip. WSDOT has learned that customers perceive toll dollars very differently than gas tax dollars. In addition, the agency found that customer expectations seem to change when they are paying a toll because the service provided also has a direct dollar value associated with it. Communicating the concept and objectives of WSDOT's tolling network continues to be a challenge. Based upon the education that the drivers have, they understand the need to pay for a new bridge or roadway facility. They do not necessarily understand how tolling can also be used for congestion management. Since the SH 520 tolling operations began, WSDOT has maintained ongoing public information efforts focused on making customers aware of how the transportation system users have benefited from projects funded by the tolls. Their customers are aware that they continue to realize time savings benefits from the expanded tolling system. Agencies must recognize that sharing resources and ideas through interoperability benefits both the agency and the customer. Aligning business rules is necessary for different facilities to work together successfully, even if they are using the same in-lane technologies. Cooperation and strategic thinking are necessary when agencies that use different technologies attempt to develop a regional network. It is important to be open-minded and consider a balance of revenue, costs, risk, and the benefits to the customer. Successes have come from simple networking with neighboring agencies. It may be necessary to retrofit technology so that all facilities work similarly in order to be interoperable throughout a region when tolling is implemented. Figure 5. Photo. Toll plaza on Virginia's Chesapeake Expressway. Source: Chesapeake Expressway, Rte. 168. E-ZPass States agree to one common brand and one set of business rules, which prevents the States from having to make individual agreements with each other. The complexity increases when agencies that use different technologies attempt to develop a regional network. However, these complexities can be overcome with an attitude of cooperation and strategic thinking. The Florida case study highlighted in this chapter gives a good example of how the complexities can be overcome. SunPass is Florida's pre-paid, transponder-based electronic toll collection system. It is accepted on all Florida toll roads and nearly all toll bridges. SunPass customers always pay the lowest toll rates available and benefit from an average discount of 25 cents off the cash toll rate on most tolls. SunPass was created by Florida's Turnpike Enterprise, a business unit of the Florida Department of Transportation (FDOT). Florida has put a great deal of thought and effort into interoperability in the region. Florida, Georgia, and North Carolina have entered into a multi-state toll interoperability agreement that allows North Carolina's Quick Pass, Georgia's Peach Pass, or Florida's SunPass (as well Florida's E-Pass and LeeWay Pass) customers to use the toll facilities in any of the three States and have those transactions billed to their existing pre-paid toll accounts. In-lane systems in Florida and North Carolina can read SunPass or Quick Pass transponders. The same is true for Georgia's in-lane system which reads all of the transponders issued by toll agencies in all three states. Florida and North Carolina toll account customers using Georgia toll roads are processed in the lane by their transponder; however, Peach Pass customers that travel on Florida or North Carolina toll facilities are tolled using a limited application of video tolling. For this application, license plate images are captured and compared to the Peach Pass account database. If a license plate can be matched with a valid Peach Pass account, the toll is applied to that account. Despite the differences in in-lane toll systems, the video tolling application was relatively easy to implement since all three States' in-lane systems already had video tolling infrastructure in place. Florida is also in the process of making in-lane system upgrades in order to read Georgia's Peach Pass transponders in their lanes. Another opportunity that Florida's Turnpike Enterprise (FTE) is addressing is to provide a regional Interoperability Hub (i.e., the "Southeastern States Interoperability Hub"). This allows FTE to provide interoperable toll transaction processing for Georgia's and North Carolina's transactions (as well as those for the other four tolling entities within Florida – Miami-Dade Expressway Authority (MDX), Central Florida Expressway Authority (CFX), Tampa-Hillsborough Expressway Authority (THEA), and Lee County (Leeway)). North Carolina and Georgia do not have separate agreements with each other or the other tolling entities in Florida; instead, they each have an agreement with FTE. Toll transactions at each agency are processed by that agency's back office system, which "bundles" together all transactions made with transponders issued by any agency other than their own and sends them to FTE's interoperability hub. FTE receives the out-of-State transactions from Georgia and North Carolina along with those occurring in Florida and sends them through to each agency for payment according to the agency that issued the transponder used in the transaction. This allows for North Carolina, Georgia, and all five Florida tolling agencies to enjoy the benefits of interoperability without the need for separate technical interfaces and agreements. It also leverages the investment FTE has already made to be interoperable with each State. Collectively, Florida, Georgia, and North Carolina are working to connect other southeastern States with toll facilities into the regional hub (i.e., Louisiana, Alabama, and South Carolina). They are also in discussions with tolling agencies in Texas to explore the possibility of connecting the Texas Interoperability Hub to the Southeastern States Interoperability Hub. Florida's successes have come from simple networking with neighboring agencies. When developing these agreements, it is important to be open-minded and consider a balance of revenue and risk and, of course, the benefits to the in-State customers and out-of-State visitors. Florida is building a new back office that will be scalable to serve as a regional hub when interoperability exists on a national level. Through its experience, Florida has learned that sharing resources and ideas benefits not only transportation agencies, but ultimately the customer. Consider back office efficiency from the beginning of the planning process. Consistency and standardization across facilities is important. 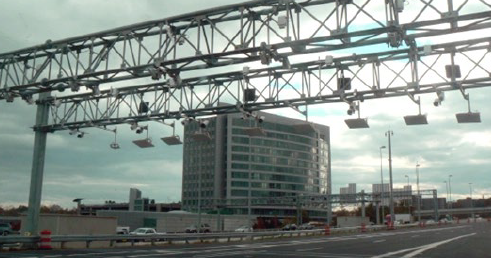 Cloud computing and smart phone applications can provide great benefits to tolling systems. Contracting with the private sector to manage back office operations can both make operations more efficient and ease State department of transportation (DOT) budgeting and accountability responsibilities. Deciding how and when to change rates is a massive data challenge requiring a robust data tool and a very efficient back office. Florida manages its back office functions using a small number of agency staff and supplements with staff augmentation contracts. For many of the early operational managed lane projects, most commonly implemented as High Occupancy Vehicle (HOV) lanes, the primary objective of the implementing agency was to better manage traffic on existing facilities while maintaining travel time advantages for transit and HOV travelers. Over time, many HOV lanes have been converted to High Occupancy Toll (HOT) lanes where a toll was charged for entry into the lane, but revenue generation was predominantly of secondary concern. Thus, there was little focus on the cost of transaction processing and back office operations. Figure 6. Photo. 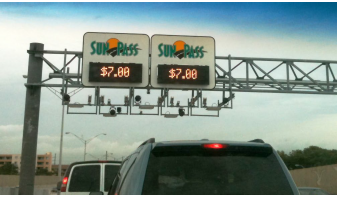 Changeable displays on an overhead gantry indicate the cost of using SunPass tolled lanes in Florida. When making decisions that affect congestion management, revenue generation is not the primary focus. As the use of priced managed lanes continues to expand, revenue generation will play a larger part in the discussion, but it will continue to be secondary to safety and trip time reliability. The most cost-effective method for processing toll transactions is through a single back office. In Florida, the SunPass Customer Service Center processes more than 85 percent of toll transactions across the State. Even as back office efficiency improves, congestion pricing programs are not inexpensive to operate. In addition to the customer service functions that are most visible to the customer, there are costs associated with video tolling including image review, identification of the registered owner of the vehicle (ROV), invoice mailing, and payment processing. Finally, there is a large development staff that continually monitors and upgrades current software applications and develops new applications, such as the mobile SunPass App that many customers use on their smart phones. Florida manages its back office functions using a small number of agency staff supplemented with contracted staff on both the customer service side and the software development side of the business. This model has been successful in managing a single process back office (i.e., fixed-price tolling using a prepaid transponder -based account), but as different tolling applications are added (i.e., priced managed lanes, reversible lanes, image- based tolling), this model may not be the most efficient. There is a significant administrative investment in managing these contracts. Streamlining the number of contracts will help reduce administrative time spent on the contract administration and will provide for greater consistency across task assignments. Florida's Turnpike Enterprise has taken the lead in developing a new, state-of-the-art customer service center with its Expressway Authority partners. This new facility will consolidate the individual operations of the four agencies and will be operated by a contractor on behalf of the agencies. One of the challenges with this model is that requirements need to be well defined up front. In an effort to ensure that all agencies' needs are addressed, staff from Florida's Turnpike Enterprise, Central Florida Expressway Authority (formerly Orlando-Orange County Expressway Authority), Miami-Dade Expressway Authority, and Tampa-Hillsborough Expressway Authority met regularly over a 9-month period to define the specific requirements to be included in a procurement document. More than 10,000 hours invested by more than 50 agency staff members resulted in more than 2,350 requirements. During the process, there was a significant amount of industry participation in order to ensure a clear understanding of the expected outcome. Separate from that effort, executive leadership from each of the agencies discussed governance issues, analyzing how to provide equity in cost allocation and decision making as it impacts the new Customer Service Center. From those discussions, a master interoperability agreement will be executed among the parties to ensure consistency in overall management of the center once it is operational. The participants have defined success for this endeavor as being when customers that use any Florida Turnpike Enterprise facility are able to meet their tolling needs with one call. System capabilities should not drive policy. Back office and roadway system designs must be capable of supporting established enforcement policies and strategies. The adjudication process for toll violations and for customers to dispute violations must be perceived as fair, consistent, and effective. Parking and priced managed lane programs should strive to turn violators into customers through public information campaigns citing effectiveness of enforcement. Multiple payment options can help reduce toll violations. Enforcement challenges can be addressed through certain policy changes, although there are trade-offs that must be considered. A well planned enforcement policy is important both to successful operations and to the ability of the facility operator to manage demand and pricing of the facility. "Enforcement" often has a negative connotation, but well-run parking and managed lane programs strive to turn violators into customers through public information campaigns citing the effectiveness of enforcement activities. The credibility of an agency depends upon its ability to demonstrate to the toll-paying public that abusers of the system are being pursued and that they will pay significant penalties. In an effort to combat its public perception challenges, Florida Department of Transportation (FDOT) changed its process for egregious violators. Individuals with many toll violations are now required to appear in court and may have their licenses suspended if they do not show up. Florida is also implementing a registration hold on the violators' accounts. The Minnesota State Patrol is committed to enforcement. They use a combination of mobile readers and visual enforcement, which has helped significantly lower violation rates. In terms of physical deterrence for violators, Florida requires vehicles to have a SunPass transponder in order to access any of Florida's toll systems. 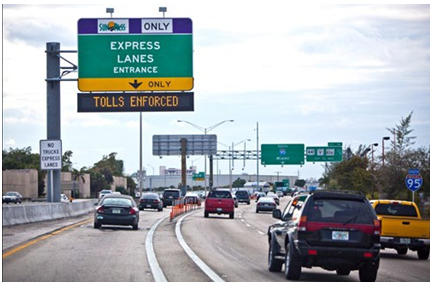 Limited access points combined with physical delineators to prevent lane jumping help to keep the violation rate relatively low.22 Registered high-occupancy vehicles (HOV) with three occupants are allowed free access to the I-95 Express Lanes utilizing their SunPass. While enforcement of HOV has improved dramatically, it should be noted that HOV usage declined on the facility once HOV registration became required. Figure 7. Photo. Video and transponder detection devices mounted on an overhead gantry. It is important to public perception of the program to have a visible, active policy for enforcement. Paying customers are very concerned with being sure other people are paying their tolls. Successful enforcement contributes to the credibility of a facility. For example, SFpark included enforcement in its real-time data pilot and was able to show which spots are occupied but not paid for in real-time, making enforcement much easier. And, although Los Angeles Metro predicted reduced violations when converting its HOV lanes to HOT express lanes, the agency also added dedicated photo enforcement. Enforcement is a very critical factor before and after converting to any new congestion pricing strategy, and it is essential that the back office be capable of supporting the necessary enforcement. The I-15 Express Lanes facility in San Diego is a 20-mile-long, high-occupancy toll facility between SR-163 and SR-78. Originally an 8-mile segment opened in 1997, the current, expanded configuration was completed in January 2012. The I-15 Express Lanes feature four lanes with a moveable barrier for maximum flexibility, multiple access points to and from the general purpose highway lanes, and direct access ramps for high-frequency bus rapid transit service. The Express Lanes provide vanpools, carpools, buses, and FasTrak® customers a faster and more reliable trip along the booming corridor while relieving demand on the general purpose lanes. One enforcement challenge is that there is currently no commercially viable automated solution that can accurately identify how many people are in a vehicle.26 Switchable transponders provide a self-declaration mechanism, but do not necessarily enhance an agency's ability to identify and pursue cheaters. Various agencies are exploring policy changes that can be made to support enforcement needs, such as requiring all vehicles to have a registered transponder and all carpools to have a separate registration. These policies reduce violations by increasing the effort necessary to cheat the system but are still tied to the honor system and require manual observation to identify violators. It is estimated that the I-15 Express Lanes have a range of 10 to 20 percent for violation rates. This is common for HOT and HOV facilities due to the attractive mobility benefit they provide combined with the low likelihood of being caught. Recent expansions and improved access to the I-15 Express Lanes have introduced new challenges for manual enforcement. Vehicles can now enter and exit the facility every couple of miles, which makes positioning enforcement difficult and results in location enforcement versus facility enforcement. Additionally, the broad definition for vehicle occupancy (which is used by most of the country that includes children not of driving age) makes manual enforcement challenging. Officers are hesitant to stop perceived violators based on visual observation because of the risk of stopping vehicles with small children in the back seat that were not clearly visible from outside the vehicle. While this means officers focus on more important traffic safety areas, it deters an agency's efforts towards a well-planned enforcement policy and does not provide for cost recovery. Like many agencies, the San Diego Association of Governments (SANDAG) pays the California Highway Patrol directly to patrol the facility and perform toll enforcement activities. However, due to the low number of citations issued, the actual fees and penalties from toll violations are significantly lower than the cost of enforcement. Operating agencies must identify the purpose, needs, and requirements of the system and design for proper data architecture and warehousing at the beginning of the process. Charging the correct market-driven toll or parking rate is critical to optimizing limited capacity. To develop a good set of data privacy rules for a project, look at the data being collected and determine what will be done with it and for how long it is needed. Agencies must focus on communication, outreach, safety, and education of the public from the beginning. Figure 8. Photo. An SFPark parking meter. The process of setting rates on transportation facilities to help manage demand against supply requires a massive data analysis process. Tolling systems have to be strong in this area because they have to capture every transaction and assess revenues. Designs for data architecture and warehousing should be easily expandable to adjust to the ultimate data analysis requirements. The purpose, need, and requirements of data systems must be identified in the planning phase, as business rules are being developed. Charging the correct market-driven toll or parking rate is critical to optimizing the use of limited capacity. However, changing rates or rate structures can sometimes be a large effort, so actions that will streamline such efforts will assist with the back office challenge. For example, SFpark acknowledged that rates needed to be changed by time of day and day of week, but to make the process as simple as possible, the agency used blocks of time rather than making hourly changes. Also, they use the same rate structure for about two months, because there is a lot of back and forth that has to happen with the vendors each time they want to change them. Figure 9. Map. An SFPark operational area and information on rates by time period. The SFpark project collected an unprecedented data set (including transit, traffic, and sales tax data) to enable a thorough evaluation of its effectiveness. This necessitated a well-defined and highly structured data management system. Data privacy (addressed in Topic Area 7), which can be regulated by State and local laws, directly impacts the data analysis process for toll and rate transactions and, in turn, the architecture required. Many States do not have specific privacy laws regarding data analysis written into their constitution. In order to develop a good set of data privacy rules for a project, it is essential to look at the data that is being collected and determine what will be done with it and for how long it is needed.30 Different agencies keep data for varying lengths of time. The challenge is to strike a balance between privacy advocates wanting data to be kept for the shortest amount of time possible and the necessity of keeping transaction and vehicle data linked long enough to deal with contested transactions and the full adjudication process. 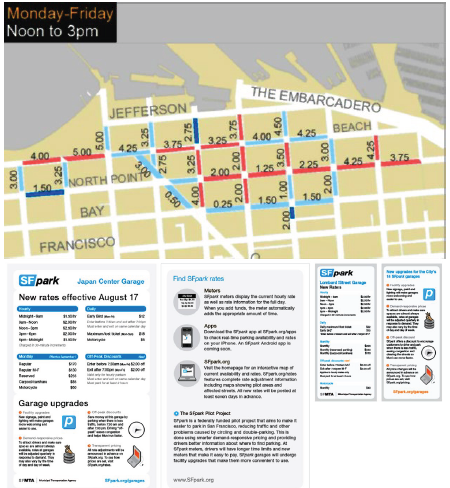 San Francisco Municipal Transit Authority (SFMTA) is currently keeping all of SFpark's data as there will be a great deal of analysis performed on this pilot project. The agency is also requiring all of its vendors to keep all of the data for 5 years past the terms of their contract.31 In San Diego, legislation says that 4 years after an account is closed, an agency must remove all personally identifiable information. The SFpark pilot project was a federally funded demonstration of a new approach to managing parking. It used better information, including real-time data to inform drivers where parking is available and demand-responsive parking pricing to help make parking easier to find. The SFpark pilot relied on real-time data, from new technologies such as in-ground parking sensors and smart parking meters. The SFpark project also collected a comprehensive data set (including transit, traffic, and sales tax data) to enable a thorough evaluation of its effectiveness. Due to the extremely large amount of data that was collected throughout this project, the design for the data warehousing and analysis elements was critical to the effectiveness of the back office operations. The SFpark data management system enabled the implementation, operation, and evaluation of the pilot. The most important step in performing these functions was developing a data warehouse that could manage and process the high volume of data to support the analyses required for the pilot. The data needed to be stored in a very structured way because this data collection effort is probably the first of its kind and is likely to be used to assist with similar programs in the future. Defining the purpose and specific needs of a system up front is critical to implementing a successful data management system. 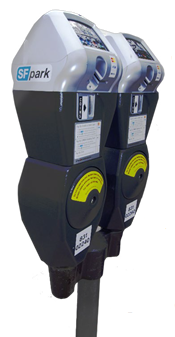 The SFpark system was designed to receive data from multiple vendor systems and process that data to provide real-time parking availability to the public, analysis of historical parking occupancy data for demand-responsive rate adjustments, asset management, and the combination of disparate data sources to evaluate the program. An unanticipated need was also to clean datasets and measure vendor performance. For instance, the SFpark analytical tools were able to identify and predict outages in the parking sensor vendor's system. A number of operational reports were also required to reconcile multiple data systems and find a "single source of truth" to ensure proper implementation of demand-responsive pricing. During the project's early planning phases, the San Francisco Metropolitan Transit Authority (SFMTA) chose to build the SFpark data management system and provide many of the required functions using its own staff. Different approaches could have been used, including contracting out various portions of the data management effort and using open source tools. These approaches may have provided advantages, but SFMTA was concerned that it would have less flexibility in how data could be analyzed, particularly when combining multiple data sources, such as parking sensors, meters, and enforcement data. SFMTA's in-house approach resulted in considerable flexibility in processing and analyzing data and enhanced product support. SFMTA learned through this process that, regardless of its approach (i.e., in-house or open source), the key functions and requirements should be clearly defined up front. Public support of priced managed lanes requires trust in the agency and an understanding of policy and operations. Transparency is critical to building a case for toll lanes to the public. Agencies must be willing to release transaction data, revenue, and traffic information in order to change the public misperception that managed lanes are a "cash cow." Agencies need to find a balance between providing adequate explanations of back office operations and providing too much information. Releasing back office data to demonstrate actual travel time improvements can help communicate project objectives and anticipated outcomes. Public support for priced managed lanes, tolling, and other market-based transportation strategies is highly dependent upon an understanding of policy and operations, with the result being public trust in the agency. In early stages, SFpark stated they would raise and lower parking meter rates based on supply and demand. This aided in earning public trust when meter rates were actually lowered. Public agencies such as State departments of transportation (DOT) are often held to a different standard regarding disclosure than private operators or even legacy tolling agencies. They must be more transparent and open in their process as the public is accustomed to State DOTs providing highways for "free." 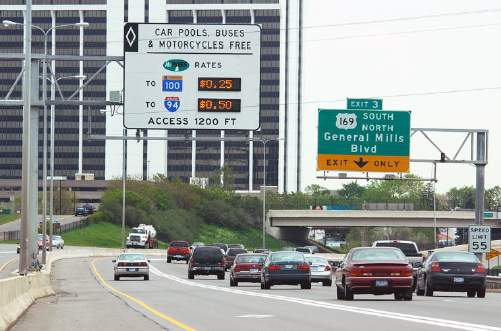 Agencies that propose to repurpose roadway lanes for more efficient use of existing infrastructure (e.g., high-occupancy vehicle (HOV) to high- occupancy toll (HOT) conversion), have the burden of demonstrating that tolls are necessary to maintain travel time advantage for priority users (transit, HOV) and to repay costs. Transparency is critical to proving the need to toll. For projects and systems where new lanes or other major facilities are provided through tolls and user fee funding, the linkage between high initial costs and revenue sources can be more apparent. Which agencies and funding sources are used to develop facilities? How much of that funding must be "paid back" out of toll or user fee revenues? What elements are considered "costs" that must be repaid? For example, several HOT lane conversion projects operate on infrastructure that was funded in part through Urban Mass Transit Administration (UMTA) (currently Federal Transit Administration (FTA)) funding. Transit agencies and advocates expect a return on that major investment since those were built originally as HOV/bus lanes. There is a wide variance in responding to these questions about projects and systems nationally as performance of the implemented strategy will vary by locality. While specific national "guidance" would be inappropriate on these questions, the lesson learned here is that these decisions must be revealed and consistently supported by operational strategies. Figure 10. Photo. An express bus travelling in tolled lanes on a Florida highway. There has been a public misperception common to many of the operating HOT lane conversion projects (including MnPASS) that these lanes are a "cash cow" for the operating agency, even though the reality is that the lanes generate only a modest amount of revenue by most tolling standards.35 In addition, because vendor operations agreements, enforcement cost, equipment purchases, revenue allocation requirements, and revenue sharing agreements are unique to each corridor, there is a rather complex accounting and reconciliation process. The complexity of this accounting trail is formidable, further complicating agencies' efforts to be open and transparent. Creating and communicating an understandable message without getting too far into the weeds is the best way to be transparent. Despite agencies' efforts to communicate their processes, transparency can boil down to the issue of user understanding. San Diego Association of Government's (SANDAG) experience on the I-15 Express Lanes has shown that carpoolers understand that they may use the facility, but people with tolling accounts and transponders from various facilities in the region have not fully understood that they are eligible. Minnesota Department of Transportation (MnDOT) has found that there is confusion about when MnPass holders (tolled) and free users (buses, carpools, and motorcycles) can use the facility and when they cannot. Even though the signage, website, and literature all state that the lanes are available to all, using managed lane facilities in off-peak hours is not something that many drivers seem comfortable with. WSDOT observed that many carpoolers did not realize that they were still eligible for free use following the conversion of SR 167 from HOV to HOT lanes, despite clear signage to that effect. Figure 11. Illustration. 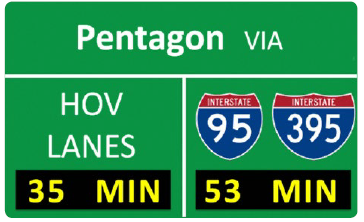 A dynamic traveler information sign indicates the amount of time it will take to reach a destination via high-occupancy vehicle lanes versus normal travel lanes. Transparency at the policy level is very important to ensuring public understanding of how and why the agency came to certain conclusions in developing the facility. However, operationally, it is very difficult to be fully transparent without raising unnecessary questions and confusing the public. Providing too much information can lead to evaluation of fine details, such as exact amount and timing of toll rate changes. This can lead to some uncertainty in the overall process and mask broader successes in meeting project objectives. 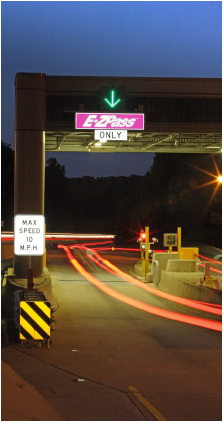 The Minnesota Department of Transportation (MnDOT) currently has two operational MnPASS Express Toll Lane facilities in the Minneapolis/St. Paul region: I-394 MnPASS, which is 11 miles in length, and I-35W, which is 18 miles in length. In the fall of 2015, the I-35E MnPASS express toll lanes will open in the east metro area as MnDOT's first new HOT capacity (4 miles with a possible 6-mile extension) on an interstate. Additionally, there are six other express toll lane projects in various stages of planning and design, including I-35W north; I-94; I-494; and State Highways 169, 77, and 36. From nearly 10 years of operational experience, MnDOT has learned many valuable lessons with regard to the transparency of information that is shared with the public, press, and other stakeholders. Transparency is an important, essential, and yet challenging operating philosophy that manifests itself in a number of ways. Challenges include communicating project purpose, customer and public understanding of the price setting policy, and sources and uses of revenue. Communicating Project Purpose - The I-394 MnPASS Express Lane (opened in May 2005) was designed to improve the efficiency of I-394 by increasing the person- and vehicle-carrying capabilities of existing high-occupancy vehicle (HOV) lanes, maintaining free flow speeds for transit and carpools, and using electronic toll collection–tags/transponders and readers–for dynamic pricing and electronic enforcement. The transparency challenge was to develop a clear public understanding of the operations policy; that is, to explain why a "toll lane" is better than a free lane. Opening the lane to HOT operations was not intuitively the best solution to the public. An important component of this conversion, however, was the understanding that converting an HOV lane to general purpose use would require a significant pay-back of the Federal funds used originally to develop the facility, and that converting the lane to a general purpose lane would mean the loss of a reliable congestion-free trip for transit and carpools. The notion of equity in the HOT lane policy was also paramount and, to some degree, crosses over into the notion of privacy. The State does not collect income information from MnPASS subscribers and, therefore, is unable to determine the income profile of the MnPASS users. In the larger picture, a legitimate question is "Does it matter?" After all, the lane is still open and free to transit and carpoolers as well as motorcyclists. No privileges have been taken away, and in fact, even the drivers who remain in the general purpose lanes experience a better and safer trip. In the spirit of transparency, however, this explanation, while true, may seem rather dismissive. Customer and Public Understanding of the Price Setting Policy - Communicating the toll rate setting process clearly for MnPASS customers and the public is challenging given the complexity of the algorithm controlling the price. For the most part, MnPASS users buy into the HOT lanes with incomplete knowledge as to what time saving they receive for their toll dollar. However, estimates of transit travel times in the MnPASS lanes are posted as compared to travel times with the general purpose lanes at the southern end of the I-35W corridor. In the spirit of clarity and transparency, the MnPASS website and printed information state that: "As the express lanes become more congested, the fee to enter the lanes increases… increasing the speed of the vehicles already in the lane. If express lanes aren't tolled in this fashion, the lanes would not be an express option for motorists." Despite the clarity with which MnDOT attempts to communicate how the variable pricing is adjusted by volumes and speeds in the MnPASS lanes, many customers believe that the prices are set by the congestion occurring in the adjacent general purpose lanes. MnPASS' dynamic tolling algorithm has been adjusted three times on the MnPASS lanes over the last 9 years to help the lanes approach optimal performance levels. MnDOT does not publicly announce an algorithm adjustment because it would cause unnecessary concern, confusion, and perhaps even suspicion. Prices are not set to maximize revenue, so the purpose of an algorithm change is to improve system performance. While this is a logical and defensible communications strategy and message, MnDOT acknowledges that this is not a completely transparent policy, but rather the result of pragmatism. An irony of the MnPASS pricing system is that people generally do not know how it works. They are very supportive of MnPASS despite not knowing the details of the pricing process because they typically experience a better commuting trip. Sources and Uses of Revenue - By law, the sources of funding and the uses of revenue are unique to each MnPASS corridor. On I-394, MnDOT is required to pay back capital costs for developing the facility. Revenue beyond the cost of operations is then split between transit and enhancements on the facility itself. On I-35W, authorizing legislation does not require capital cost repayment but requires immediate sharing of "excess revenue" beyond operations expenses. It is critical for MnDOT to be transparent in accounting for these costs and revenues in order to maintain public trust that funds are distributed equitably. In the MnPASS system, tolls and user fees do not flow through the customer service vendor accounts, but rather to a State-administered account system, which is reassuring to the public. Transparency is to some degree illusory. While MnDOT has no intention of hiding important information or data, providing too much information risks obscuring the question and is likely to raise additional questions and confusion, which in turn can cause distrust. Therefore, it is essential that, in its attempt to be as transparent as possible, MnDOT be aware of the careful balance that is needed in creating and communicating an understandable message without getting so far into the details as to create additional confusion and perhaps distrust. Figure 12. Photo. 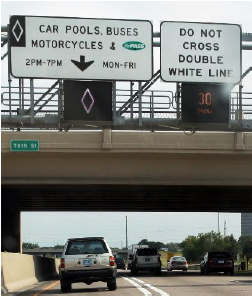 A sign on a gantry shows rates for using a high-occupancy toll lane to reach different destinations. Widespread acceptance of the technology that makes much of our private information publicly available (smart phones, iPads, GPS) seems to have moderated drivers' concerns about privacy. The public must be able to trust that the data collected to apply proper tolls and to support effective enforcement is only used for its stated purposes. Transaction data should be separated from the vehicle by aggregating data and eliminating individual trips. It is important to delete "violation supportive" data, such as photos, once a successful transaction is complete. Agencies must develop their back office business rules in coordination with State data privacy regulations. A written policy that explicitly describes what can and cannot be shared should be publicly available for reporters and others requesting data and information. Privacy of data related to customer accounts has been an issue of concern since the early days of electronic tolling two decades ago. Today's all-electronic tolling (no option for cash payment) has heightened this concern among privacy advocates. At the same time, the acceptance of the technologies in our everyday lives (smart phones, iPads, and Global Positioning System (GPS)) that makes much of our private information publicly available seems to have moderated drivers' concerns about the government tracking their movements. There is a delicate balance between a transparent back office process and data privacy. As outlined in the previous section, tolling operators want to be as transparent in their operations as practical in order to gain credibility and trust with the public. However, they must draw the line when it comes to information contained in customer accounts. There is significant value in sharing the detailed movements of vehicles on the roadway and tollway network for traffic analysis and research purposes. The public must be able to trust that the data that is collected to apply proper tolls and effectively enforce use of the facility is only used for that purpose. In an effort to reassure the public, agencies have applied various methods to separate transaction data from the vehicle by aggregating data and eliminating individual trips. Other agencies have retained transaction data but deleted "violation supportive" data, such as photos, once a successful transaction is complete. In their customer service agreement, MnDOT explicitly states legal customer privacy protections as well as the limited permitted uses of that data. Many States have existing statutes pertaining to data privacy and must develop their tolling business rules consistent with those statutes. For example, Florida Department of Transportation (FDOT) acknowledges that privacy issues are driven solely by the legislature.38 Likewise, Washington has very strict statutes designed to maintain user privacy, and vendors are required to adhere to the same data privacy standards as are imposed on banking institutions.39 In some States, there are no specific privacy laws written into the constitution. Customer privacy protections, which are provided in laws, can be explicitly written into the customer service agreement (see Minnesota case study) along with the limited permitted uses of that data. A written policy that explicitly describes what an agency can and cannot share should be available for reporters and others requesting data and information in order to allay concerns of bias or preference in information requests. It is the practice of some operating agencies to release data only when specifically required to by court order or subpoena. Figure 13. Photo. Entrance to the SunPass Express Toll Lanes on I-95. Figure 14. Photo. 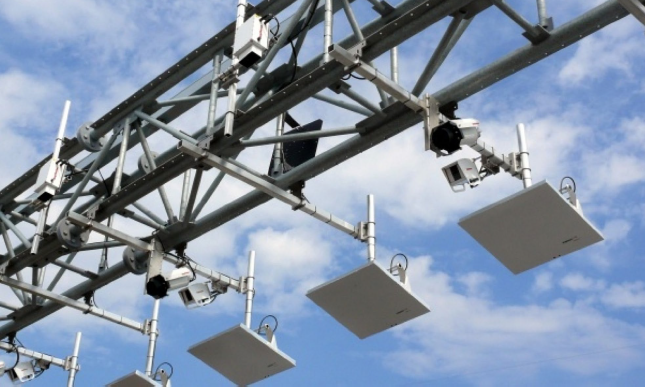 Video and transponder detection devices mounted on an overhead gantry on the I-495 Express Lanes in Virginia. For Minnesota's MnPASS Express Toll Lane system, a wide range of customer privacy protections is provided in law and in the customer service agreement. This case study addresses issues surrounding customer privacy, including personal information, statutes, separating transaction data from the vehicle, and transaction data deletion. Generally speaking, through 9 years of operations of MnPass, no problems have arisen with the issue of sharing data because rules are stringently followed regarding the data privacy guidelines provided in the customer agreement. Market research and customer service purposes related to this program. Preparing summary financial reports and analyses that do not identify specific customers. Conducting traffic research and customer analyses. Note that MnDOT and its CSC do not market the data that customers provide. Statutes regarding privacy of data – The MnPASS Customer Agreement is governed by the laws of the State of Minnesota (Government Data Practices Act). All MnPASS customers agree to abide by the data privacy practices and procedures by which the MnPASS team stringently abides. This statute applies to all data provided by the State under the customer contract, including all data created, collected, received, stored, used, maintained, or disseminated by the CSC. When a request for data is received, MnDOT provides the CSC with instructions concerning the release of the data to the requesting party. The contract that customers sign makes it clear that they are not legally required to provide the data, but if they do not supply the data, MnDOT is not able to process the application. The contract clearly states that the data can be released only for specific uses and circumstances, including State and Federal audit, court order, new Federal or State legislation, and customer request for their own account data. It also states that law enforcement agencies have use of transponder readers that will identify only whether the transponder in a particular vehicle is valid. Neither MnDOT nor the CSC will release the data provided by the customer to anyone else, or for a purpose not listed, unless given permission by the customer via a signed consent form provided by MnDOT. Separating transaction data from the vehicle – The MnPASS CSC generates many reports that contain information on MnPASS transactions and revenue. There are currently no laws in Minnesota that require separation of transaction data from the vehicle data. However, as a matter of policy, all of the transaction and revenue data are separated from the vehicles when vehicles are mentioned in a report. It is expected that future legislation will likely contain a separation of data provision. Additionally, customers are assured that no photo enforcement data is ever collected, as the concept of photo enforcement has been tested and ruled illegal in Minnesota based on the premise that citations must be given to individuals, not to vehicles. Transaction data deletion – With MnPASS, credit card transactions are kept for a period of 7 years by the CSC. However, all other data is kept indefinitely. Transportation agencies are increasingly using public-private partnerships for priced managed lane projects in which the private partner typically provides the funding up front and performs design, construction, operations, and maintenance in exchange for the right to the tolling revenue for a period of several decades. The private sector has more flexibility to employ technologies they deem most cost effective with fewer constraints on procurement. Cost sharing agreements across all public tolling facilities can be used to distribute the costs of back office operations equitably. Some public agency tolling operators have succeeded in opening their tolling and back office systems to competition and have moved away from proprietary processes and technologies. Washington State Department of Transportation (WSDOT) holds vendors contractually accountable for providing specific funding amounts for maintenance and operations. The agency found that when these functions were performed by agency staff, they were typically subject to budget cuts within the agency. MnDOT issued a request for proposal on the I-394 MnPass project for proposals describing how they would design and operate the facility. The Contractor designed and managed the facility at a discount, which leveraged MnDOT's limited resources. For many years, traditional public funding sources for transportation improvements have been insufficient to keep up with growing traffic demands. Transportation agencies have increasingly found that teaming with the private sector can successfully deliver projects as much as decades earlier than projected in their long- range transportation plans. There are varying degrees of public-private partnership (P3) arrangements, but in the majority of priced managed lane projects, the private partner provides the funding up front and performs design and construction in exchange for the right to tolling revenue for a period of several decades. In many cases, the private entity is responsible for all maintenance and customer service—called an "end-to-end" operations agreement. Some public agency toll operators have policies or procurement agreements in place that limit their options regarding conversion to interoperable technology and back office systems. The private sector often has the flexibility to employ the technology that they deem most cost effective without such constraints. Regions that are deploying priced managed lane networks with multiple toll operators involved are implementing cost-sharing agreements across all public facilities in order to equitably distribute the shared costs of back office operations. Minnesota has also succeeded in engaging the private sector and implementing P3s. The Minnesota Department of Transportation (MnDOT) issued a request for proposals (RFP) to the private sector when they entered the design phase of the I-394 MnPass project, inviting firms to submit proposals describing how they would design and operate the facility. Figure 15. Photo. 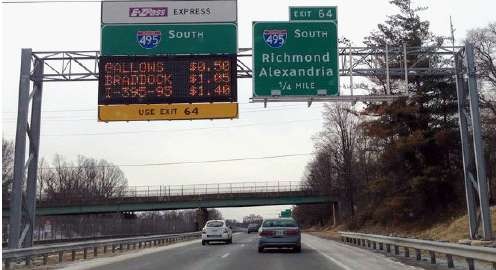 A dynamic sign mounted on a gantry depicts the cost to travel to different destinations using the I-495 Express Lanes. Managed lane and tolling industry experts report that there is great potential for many more successful P3 projects in the future to meet the growing transportation system demands. Lessons learned from current projects, both operating and in development stages, provide valuable information on how best to capitalize on the opportunity. Some public agency tolling operators could benefit greatly by opening their tolling and back office systems to competition and moving away from proprietary processes and technologies that lock them into sole-sourcing. In addition, smart phone technology is poised to revolutionize communications and data transfer for pricing systems if the competition is allowed to harness private sector innovation. The Virginia Department of Transportation (VDOT) and Transurban, a private firm that designs and manages toll networks in the United States and Australia, teamed to create a public private partnership (P3) to design, build, operate, and maintain priced managed lane facilities on two major roadways in northern Virginia. The original VDOT plans for a traditional expansion of the Capital Beltway were rejected by the region because they were cost prohibitive and would have had major impacts on the surrounding community and environment. In 2002, the private sector proposed an express lanes alternative, which VDOT ultimately accepted. It expanded transit in the region and was built largely within the existing footprint of the corridor. The streamlined express lanes required far less space and reduced the number of homes that needed to be acquired and removed from 350 to just 8. Express lanes added much-needed new lanes to the Beltway and also created a travel network for buses and carpools. A P3 with tolls helped to fund the improvements. The I-495 Express Lanes project was delivered early and on budget. "High-Occupancy Vehicles equipped with a transponder shall be entitled to use the High-Occupancy Toll (HOT) Lanes at a 100% discount from otherwise applicable tolls. Mass Transit Vehicles and Commuter Buses, school buses, motorcycles and Exempt Vehicles equipped with a transponder shall be entitled to use the HOT Lanes at a 100% discount from otherwise applicable tolls. Permitted Vehicles (other than vehicles referred to in the preceding clauses)) equipped with a transponder shall be entitled to use the HOT Lanes subject to payment of the applicable tolls." Transurban has assumed the traffic and revenue risk on the Express Lanes projects. Simply put, if the project is a commercial success, then the Commonwealth of Virginia will share in that success, through a revenue sharing agreement; if the project fails commercially, the private sector bears that risk alone. The Commonwealth will not be responsible for paying back any debt and is not required to pay the private sector if the project were to fail. The agreement also contains specific language to protect Transurban in the event that HOV traffic far exceeds projected volumes in the future, thereby greatly limiting toll revenue. The Commonwealth would assist in subsidizing HOV should carpool rates far exceed projections. While significant growth in carpools would be a great thing for the region and would help alleviate congestion, if HOV use grows at unexpected rates, there is a chance that the Express Lanes may not be able to collect enough tolls to operate and maintain the lanes. The Commonwealth would provide limited funding to help subsidize costs and ensure HOVs continue to have top priority and quality travel. 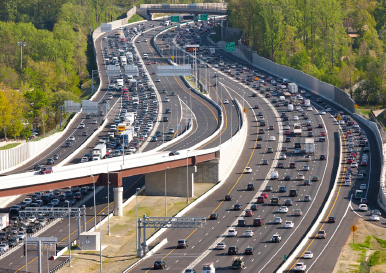 While VDOT and Transurban agree that this provision is unlikely to go into effect, the private partner could not have financed the project if there was a risk that the lanes would fill up entirely with carpools, whereby they would not have an opportunity to collect revenue. The contract provisions under which VDOT would be obligated to subsidize operations for I-95 and I-495 vary slightly, as described below. Average traffic in the same direction exceeds 3,200 vehicles per hour based on two lanes." This provision for I-495 only applies for the first 40 years. It will cease to apply if the private partners meet a certain rate of return. HOV users exceed 35% of traffic across two consecutive tolling sections for more than 30 minutes. Payments would be made only during the precise periods when these conditions are all met. The provision is applicable only for about the first half of the partnership, during which the 95 Express Lanes will be responsible for substantial construction debt payments. Implementing a congestion pricing regime involves overcoming complex challenges. These challenges are found both internally within an agency and externally in the public and among outside partner transportation agencies. Many of the congestion pricing challenges fall into a broad category of back office issues, which have been explored in this primer. These issues point to a substantial shift in how traditional transportation agencies implement and operate toll-related projects. Many public agencies that are operating congestion priced and tolled facilities for the first time have recognized the need to transition from their current role of delivering transportation facilities to a new role that emphasizes a full customer-driven approach. The move toward a customer service-oriented perspective requires a new organizational approach and a new type of leadership. As various types of congestion pricing projects continue to be deployed, organizations can build on the back office ideas summarized in this primer to make their programs more successful. These back office issues are often overlooked early in the project development process for congestion pricing projects. Project goals and objectives and transportation agency policies may be assumed by the project manager but not necessarily explicitly articulated and formalized. The collective experience of the Back Office Peer Exchange panelists and other congestion pricing professionals that contributed to this primer indicates that project managers will be dealing with these issues during the course of project development. In most cases, these experts wished that they had addressed these issues earlier and in coordination with other key development issues, avoiding some delays due to changes in project direction and costly technology retrofits. A checklist that can assist the new congestion pricing project manager early in the project development process appears in Appendix A.
Perez, Benjamin G., et. al. (2012, October). Priced Managed Lanes Guide. FHWA-HOP-13-007. Parsons Brinckerhoff. Washington, DC. Florida Department of Transportation. (2014, May). Southeast Florida Express Lanes-Regional Concept for Transportation Operations. Miami, FL. Buckeye, Kenneth. (2010, November revised). Managed Lane Innovations: Minnesota Interstate 35W. Minnesota Department of Transportation. TRB 2011 Annual Meeting. Washington, DC. Buckeye, Kenneth, et. al. (2013, July). I-35W South MnPASS HOT Lanes. TRB 2013 Annual Meeting. Washington, DC. Federal Highway Administration. (2012, May). Contemporary Approaches to Parking Pricing: A Primer (FHWA Pub. No. FHWA-HOP-12-026). Washington, DC. Federal Highway Administration. (2013, July). National Congestion Pricing Conference Summary. Seattle, WA. K.T. Analytics and Cambridge Systematics. (2008, August). Value Pricing Pilot Program: Lessons Learned. 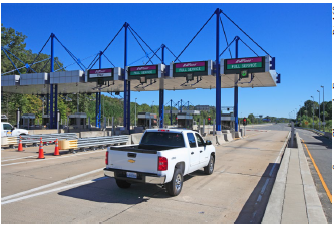 The Federal Highway Administration (FHWA) conducted a Tolling and Pricing Back Office Issues Peer Exchange in Hanover, MD, on May 6, 2014, to discuss the range of institutional issues associated with a range of congestion pricing projects. Additionally, content for this primer was taken from presentations that were given at the National Congestion Pricing Conference in Seattle, WA, on July 9-11, 2013. The following professionals participated in one or both of these two events. Table 1. National Congestion Pricing Conferences attendees. ✓ Establish what objectives the agency is trying to achieve to match policies. ✓ Design back office capabilities and technology to match these policies and objectives. ✓ Involve all managed lane and tolling operators in the region early in the planning process to align business rules, allowing for interoperable technology and back office operations. ✓ Consider ease of use by customers, revenue potential, risks, and retrofit costs in planning and designing for interoperable networks. ✓ Take a long-term view of back office operation design efficiencies through consistency and standardization among all toll facilities. ✓ Consider private sector involvement to optimize use of rapidly developing advanced technologies. ✓ Develop policies and operations for enforcement prior to design of procedures and technology. ✓ Are you providing for multiple toll payment methods – thereby reducing violations? ✓ Identify purpose, need, and requirements of data systems in the planning phase as business rules are being established. ✓ Determine the ultimate data analysis, architecture, and warehousing needs for charging the correct market-driven rates. ✓ Be transparent with operations strategies and processes, as well as the performance of the system, in order to earn the trust and support of the public. ✓ Develop a plan to proactively share appropriate traffic and revenue information and data. ✓ Establish a data use process to support toll collection and enforcement that protects the privacy of users' account information, in compliance with State data privacy regulations. ✓ Create a policy describing the request process for and content of publicly available data and information. ✓ Are you capitalizing on the strengths of the private sector in your State, including innovation, operational flexibility, and accelerated project delivery? ✓ Would a Public-Private Partnership help provide the funding, technological expertise, and tolling operations experience needed for your project to meet the agencies' goals and objectives? For more information on these checklist items, refer back to the eight topical chapters of this primer. Also, the case studies in each chapter provide details of what your peers actually did on their projects, in response to some of these checklist items.